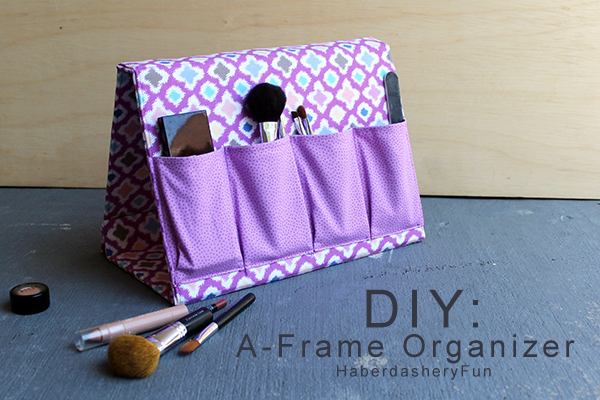 Haberdeshary Fun is sharing a tutorial on this cute fabric frame organizer on their blog www.haberdasheryfun.com You may not know that purple is my favourite colour so, this organizer took my eyes right away. If you are having difficult time organizing your make up tools on the dressing table then this will be a perfect idea to keep organized them there. Read the tutorial with illustrations HERE.